Utter | Raaz Reboot Trailer Out! A Sneak-peek Into the Raaz Prequels! HOME / TRENDING / RAAZ REBOOT TRAILER OUT! A SNEAK-PEEK INTO THE RAAZ PREQUELS! And he’s back! Bollywood’s serial kisser Emraan Hashmi is back in Raaz Reboot. Like its predecessors, this movie will too be a horror! Emraan Hashmi was quoted saying, "'Raaz Reboot' takes the horror into an unpredictably chilling space. Like the first installment, this one too has music as a key ingredient. I can bet this time also, the audience won't be able to guess the raaz." Well, we’d know about that on the 16th of September. Like all Vishesh Films productions, we expect Raaz Reboot to have a soulful soundtrack and well, it has Emraan Hashmi in it! Then we wondered, what worked for the previous Raaz films? Was it the music? Was it the script? Was it the acting? Why has Raaz become a horror franchise? It all started here! Raaz! A couple trying to rekindle their marriage by moving into a house, not knowing there’s just horror and spookiness to be found. The plot was simple. The music was tolerable and was well pitched in the horror and love scenes! The reason the movie worked was because back in 2002, the Indian audience found the whole horror thriller genre new and exciting! It was a rip-off of a Hollywood film, and the storytelling wasn’t half as good as the original. The film deals with issues of evil within the human mind and how it manifests itself! It’s based on the myths and superstitions that are still widely existent in the contemporary Indian society. Kangana Ranaut, a model moves in with her boyfriend in a brand new house and begins to experience strange occurrences. Enter Emraan Hashmi, a psychic painter who warns her of the hocus-pocus that lies ahead in her life. The two end up on a spooky crusade to find out the Raaz which leads them to a climax about corporate and personal greed. The heightened energy of songs are a delight to hear, a pure delight! The story was original, unlike the prequel. The story was predictable and thus not engaging. The special effects used made it look like a joke, and there were just too many songs. Yes, here’s another Raaz! The film starred Emraan Hashmi and Bipasha Basu has taken a few pointers from its prequels. The film is about a Bollywood actress who gets into the spirit of her competitor. And Emraan Hashmi plays a director who just goes running around to help both the actress and eventually falls in love with one of them! The horror scenes in the first half will keep you glued to your seats. But that is all it has to save its name. The second half….well, a loo break anytime in the second half won’t make a difference! 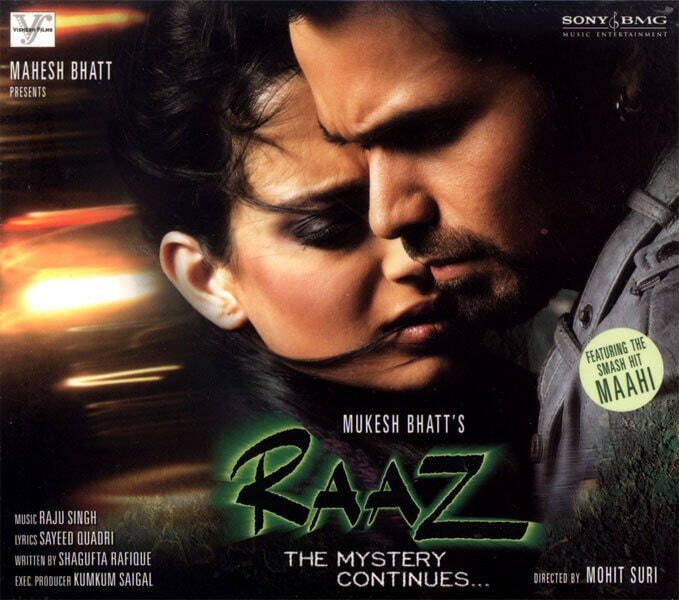 Like its prequel, Raaz: The Third Dimension fails to pack a punch in the music area! Surprisingly, the film was a box office blockbuster! Wonder what the audience liked? Was Bipasha Basu’s sexiness that attracted the audience towards the theatres? So except the 2002 release, the other two Raaz releases haven’t really bombed the box office! We hope Raaz Reboot can achieve that. Only time will tell!